I’m obsessed with how little value restaurant operators and owners place on location data accuracy. They’ll tell me that they were just featured on [insert] media site or just had some influencer post their signature dish on Instagram and it got 3,000+ likes or that they hired a publicist for $5,000 a month and spent several thousand dollars on competing and [fill in the blank] high-profile food event. 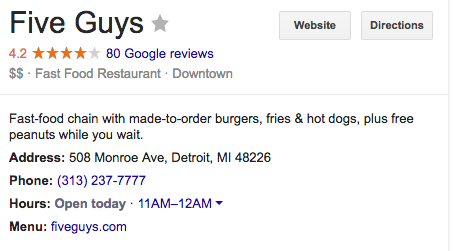 So if someone who happens to be looking for a good Burger joint who doesn’t read that website, isn’t following that influencer and didn’t attend that event (which mathematically is close to 100% of the population) and they search “best Burger near me,” then what does that restaurant have working to attract that customer? Putting “word of mouth” aside, the odds are in the favor that someone is likely to happen upon a local restaurant through a search engine. Don’t get me wrong, all that other stuff is good and can drive in new customers, but it supports local search, it doesn’t trump it. To win at local search, you need to know what the search engines have been programmed to find. There is nothing more important in local search than accuracy. Think about it this way; if someone searches “best tacos near me” (“near me” is one of the top Google search terms and has doubled alone in the last year) and they happen to be literally standing in front of a restaurant that offers tacos, the web crawlers will return with results that have the highest amount of instances of similar and recent data. 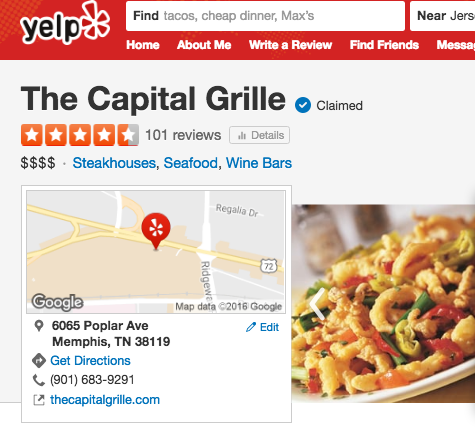 If the web crawlers see that a restaurant has their name listed differently on their website than it is on their Yelp page and something else on their Facebook page, they score that business negatively in search. Example: Let’s say your business is called “David’s Morning Cafe.” But for some reason when you claimed your Yelp page it’s listed as “David’s Cafe” and on Facebook you forgot the apostrophe so it reads as “Davids Morning Cafe,” Google will know they are the same business but look unfavorably upon it from a search perspective. This is a real problem and it happens way more often than you think it does. 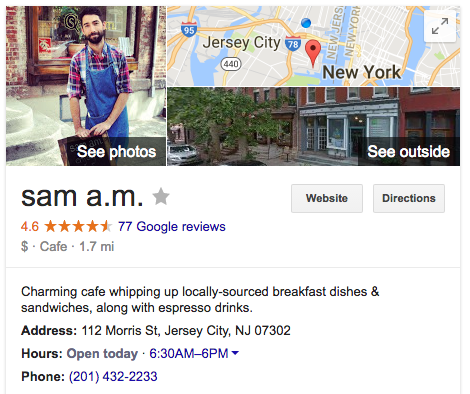 Check out this example; sam a.m. in Jersey City. You’ll notice that the inconsistencies in the how the name of the business is listed. Now check out this pork on pork sandwich they have on the menu. It’s amazing! It could be from mismanagement, like different people registering different accounts, or someone forgetting an apostrophe. It could be from customers and users updating the information on their own. It could also be from the networks themselves trying to self correct to be accurate (ever get a pop-up from Facebook after you check in at a restaurant asking for their hours?) The point is, it’s easy to mess up and easy to lose control. You probably think this is something that only happens to small mom and pop restaurants right? 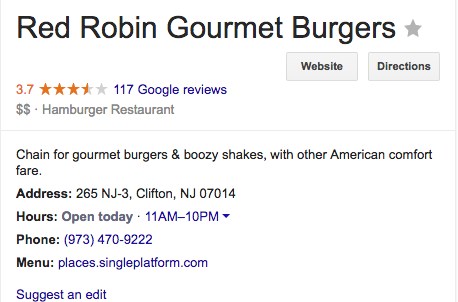 Is it Red Robin or Red Robin Gourmet Burgers? Is it Five Guys or Five Guys Burgers or Five Guys Burgers & Fries? Is it Capital Grille or Capital Grille? Is there a “The” that proceeds either? Location data inaccuracy happens all the time to all sizes of businesses. The search engines that propagate local search are also looking for relevancy. What does that mean? In a nutshell; recent positive ratings and reviews. 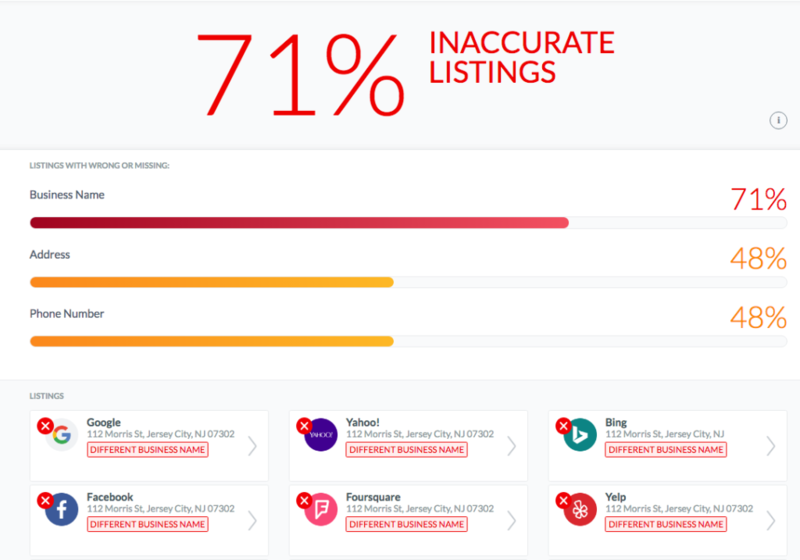 If they can see that a local business is getting a lot of positive reviews, they will favor that over a local business that has all of their location data correct or has more back links and search queries. It’s true. 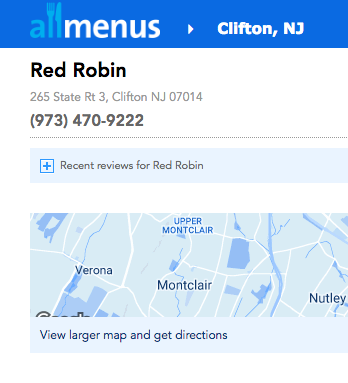 Would you rather go to a restaurant with a 4-star Facebook rating that hasn’t had a new review post in more than a year or a restaurant with a 4-star Facebook rating that has several reviews from last week? Pretend you did a search for a local pizza joint. Pretend you did a search for a local pizza joint. Several results come up that have 3.5 stars or higher on Yelp. Which would you choose? The answers is obvious, you are going to Johnny Pepperoni. Search engines work the same exact way. More recent positive reviews means more customers are choosing to recommend one business over another and therefore are more pertinent. The search engines want to deliver the absolute best results to you the user. That means they have to have the information correct when they send it to you and they want to have the results be the best of the best so that you are connected to what you are looking for faster. It’s been reported that the half-life of a tweet can be as fast as 5 minutes. Studies have shown that a post on Facebook has a life expectancy around 5 hours. 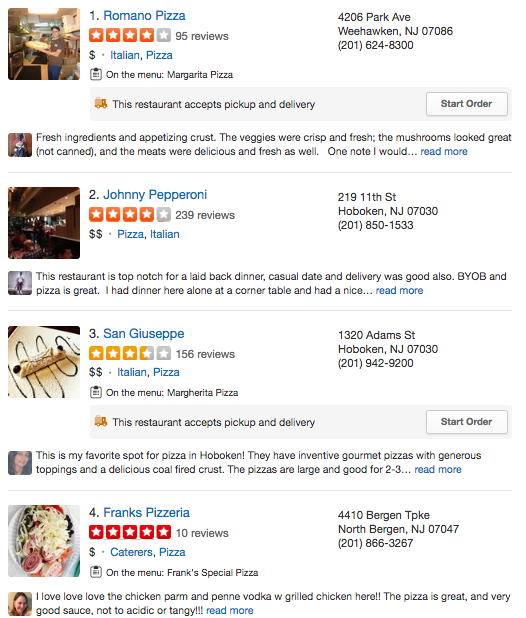 Ratings and reviews and location data are forever. Local search happens in real time. Therefore it could be argued that you are better off spending time validating the accuracy of your online location data and responding to reviews than posting updates on social media … or negotiating 3 cents on that head of lettuce. Search engines rely on a system of accuracy and relevancy to deliver search results. The local business with more accurate location data across all channels and with more recent positive ratings and reviews has the best shot to come out on the top of searches. While in the middle of writing this, I saw these fries on @SkinnyPigNYC and immediately started making plans to visit Mile End. I wonder if Mile End Delicatessen knows that they have 76% inaccurate location listings, most of which have to do with their name? 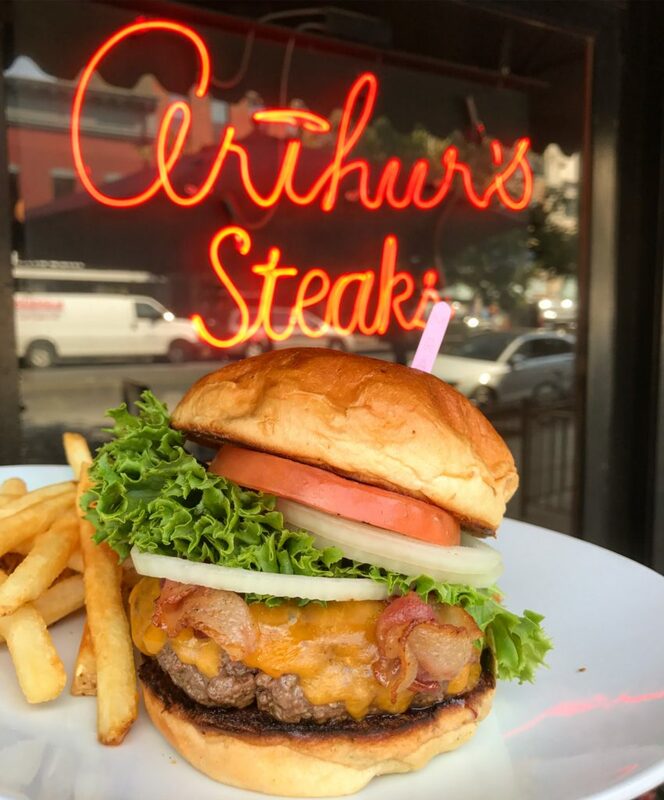 This entry was posted in Burgers, Location Data, Marketing, Search and tagged capital grille, five guys, local search, location data, marketing, mile end, ratings and reviews, red robin, rev ciancio, sam a.m., seo, skinnypignyc, yext. Bookmark the permalink.